The Technion, Haifa: Scientists at Israel’s prestigious Technion are currently hard at work attempting to solve one of the World’s most intractable mysteries. Cold fusion? Nope, they’ve already found a source of renewable energy. The mystery of the weird posts on popular community page Secret Tel Aviv? Nope, they’ve solved that too! Trying to figure out why the Homeland of the Jewish People still has not even made a bagel as good as….. ummm… Dunkin Donuts? Yes! And in terms of “Problems facing self-absorbed Ashkenazi Olim from North America“, this situation is basically our Code-Red Alert. So it makes sense that the greatest scientific minds in the Jewish world would seek to tackle this problem. The Daily Freier went up to Haifa to figure out just how we will solve this Crisis. 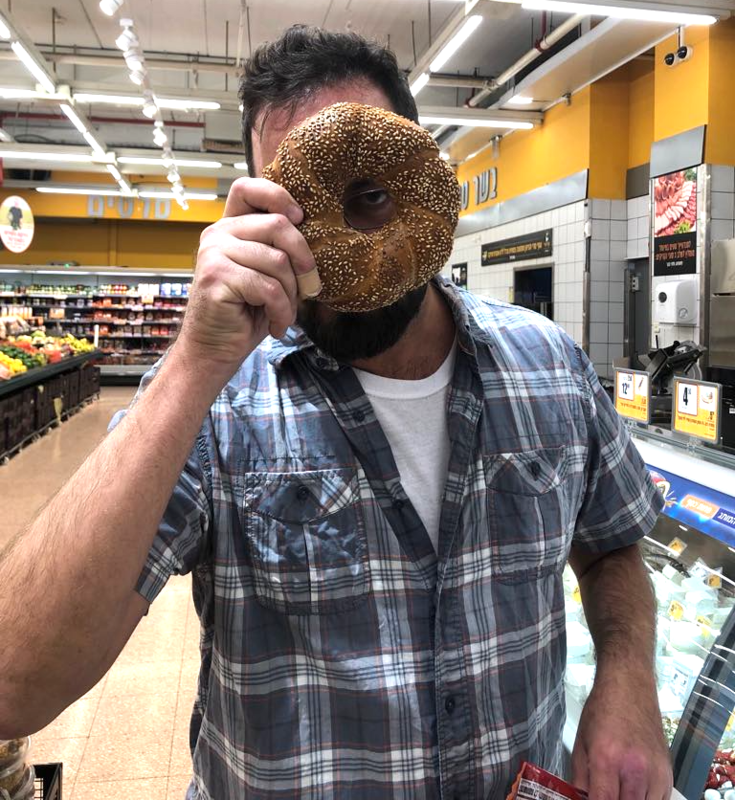 The Daily Freier then sampled some of the prototypes, and they were just as good as any bagel we’ve had so far in Israel, meaning they tasted like the foam from your couch cushion dipped in sesame seeds. “Do you like it?” asked Dr. Shmuel. “The same expert who designed this prototype previously helped McDonalds-Israel Division attain their amazing tasting burgers!” Or course he did.